World class horse training with husband and wife team, Amber Hanson Pickard and Dwayne Pickard, who specialize in presenting, training & managing the purchase and sale of AQHA Quarter Horses for Western Pleasure and Hunter Under Saddle and starting young horses. 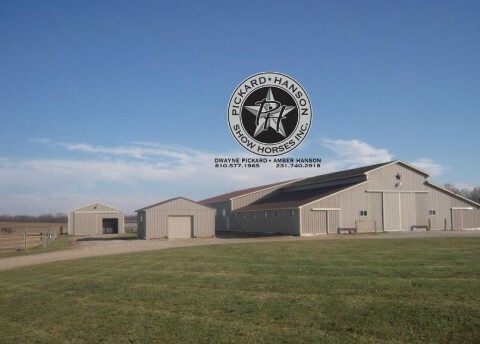 The Pickard Hanson Show Horses Inc. training facility is centrally located in Byron, Michigan just north of Howell, Michigan. 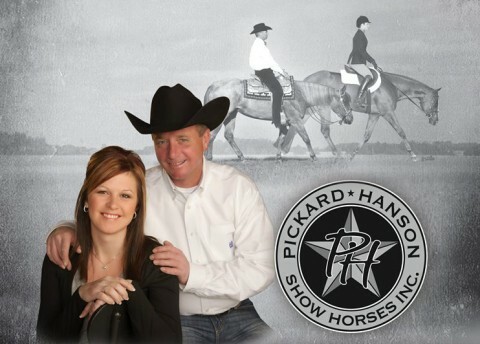 Amber Hanson Pickard and Dwayne Pickard of Pickard Hanson Show Horses, offer performance horse training in both English and Western Disciplines for AQHA Quarter Horses. Pickard Hanson Show Horses features a new 120' x 80' indoor arena, covered hot walker and a beautiful show barn with bar and viewing area. Read more about our Quarter Horse training facility on our Facility Page. Coming soon- photo gallery of clients, shows, and print ads. Pickard Hanson Show Horses is centrally located in Michigan just 11 Miles North of Howell, Michigan and I96, 30 minutes form the MSU Pavilion. Please visit our Contact page for info & directions.